50-50 LAB is a successful attitude and effort enhancing, character skill based, personal development system. It is designed to improve an individual’s attitudes and efforts, whilst embedding key learning processes. The basis of the system is to enable every child to experience and feel the benefits of being acknowledged, recognised, praised and rewarded for their efforts and attitudes towards tasks and learning objectives. The process helps every child to self-regulate, self-assess, self-reflect and build self-efficacy. The technology enables the system to be implemented seamlessly within different school, sport and home platforms. The LAB system captures these learning opportunities and outcomes, giving them a value and stores them where the child can self-reflect and then make better informed decisions. 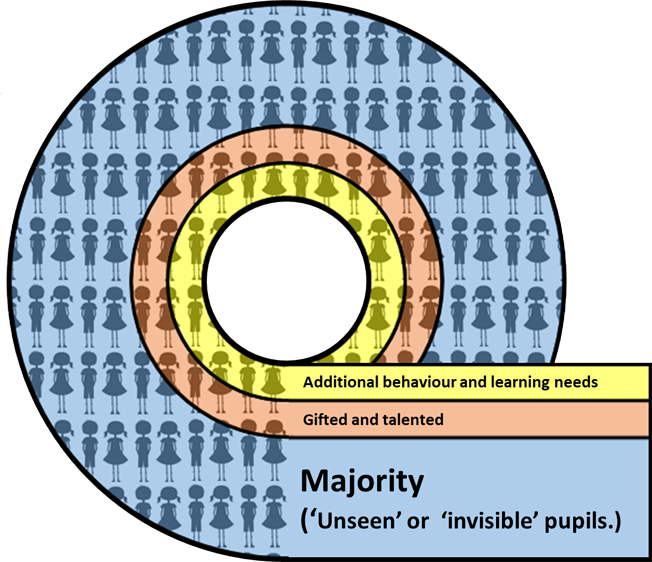 Find out how 50-50 LAB supports everyone, including the ‘unseen’ or ‘invisible’ pupils.